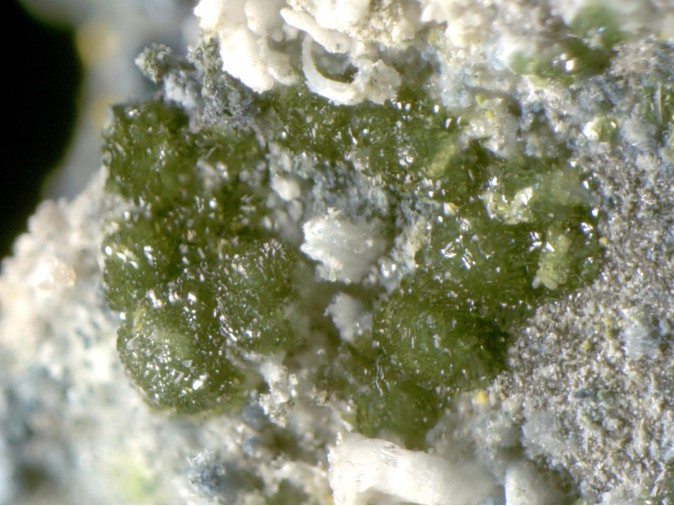 Sidwillite: Mineral information, data and localities. 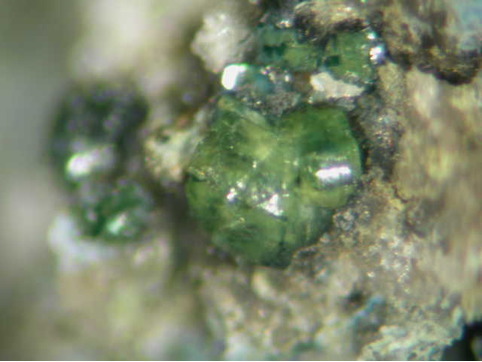 Named in 1985 by Fabian Cesbron and Daria Ginderow in honor of Sidney Arthur Williams [December 26, 1933 Ann Arbor, Michigan, USA - December 8, 2006 Douglas, Arizona, USA], mineralogist, Phelps Dodge Corporation, Douglas, Arizona, USA. 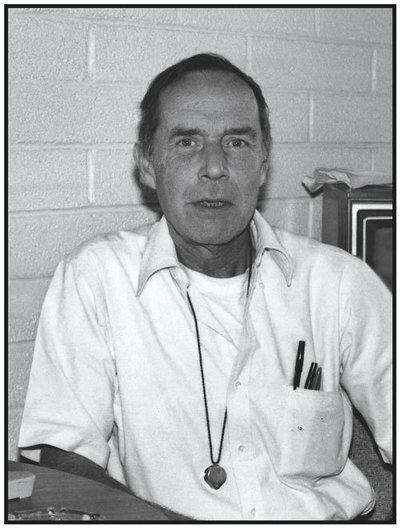 Sid Williams had a profound interest in systematic mineralogy and systematic language. His choice of using native languages of the region from where he named a mineral is unmatched in mineralogy. 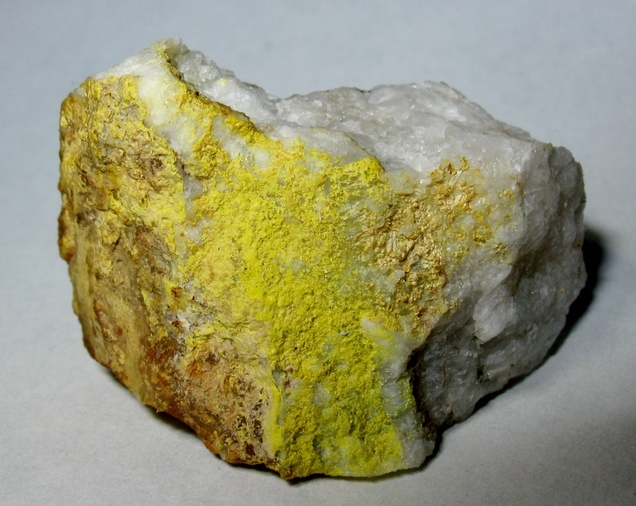 This page provides mineralogical data about Sidwillite. Cesbron, F., Ginderow, D. (1985) Sidwillite MoO3·2H2O; a new mineral species from Lake Como, Colorado, U.S.A. Bulletin de la Société française de Minéralogie et de Cristallographie 108: 813-823. 4.FJ.15 Hydrotungstite WO3 · 2H2O Mon. 7.15.6 Hydrotungstite WO3 · 2H2O Mon. Lindqvist, I. (1950) The crystal structure of the yellow molybdic acid, MoO3·2H2O. Acta Chemica Scandinavica: 4: 650-657. Krebs, B. (1972) Die kristallstruktur von MoO3·2H2O. Acta Crystallographica: B28: 2222-2231.
mineral species from Lake Como, Colorado, U.S.A. Bulletin de la Société française de Minéralogie et de Cristallographie 108: 813-823. Grice J.D. (1986) New mineral names - sidwillite. American Mineralogist: 71: 1546. Collected by and in the collection of Brent Thorne. SEM EDS and XRD analyzed by Andy Roberts.